How did you become a professional speaker? How did you get your books published? I’m answering these questions here for two reasons: One, maybe you’ve wanted to ask me one, some, or all of these questions because you’re curious . . . in which case I’m happy to appease your curiosity! Two, maybe you’ve wanted to ask me one, some, or all of these questions because you want something similar (to get published or to become a speaker, for instance.) My brief answers could possibly reveal your next step. I also use Crest White Strips from time to time. It’s less messy. Note: Try these suggestions at your own risk! LOL. I’m not a dentist nor do I play one on TV. I’m only telling you what I do. The entire story about how I became a professional speaker is interesting and funny, but it’s long, so I’ll save the full answer for a future blog post. In the meantime, here’s the short version. I’ve had a passion for speaking since I was a little girl. I won several public speaking awards and speech competitions by the time I was 12 years old. When I was in my 20’s, I attended a seminar and realized the woman delivering the seminar was getting paid to speak! That’s when I realized I could actually make a living doing what I love! I asked her what she would suggest I do to become a professional speaker. She suggested I join Toastmasters. So, that’s what I did. If you’re thinking about becoming a professional speaker or even if you simply want to improve your speaking skills, I highly recommend joining Toastmasters. Here’s the link to the Toastmasters website so you can get more information and find a club near you. I’m usually asked this question after people find out both of my daughters are in their 20’s. Never mind. Hahahaha! Next question . . . okay, I’m 49 . . . next! Getting my first book published involved about two years of rejection letters and a lot of creativity. I’ll write a separate blog post on this down the road because, while that story is inspiring, it’s also a little long, and I’m keeping the answers to these FAQs as short and sweet as possible. Here’s the short answer about one of the steps I took. This book has the names and contact information of thousands of literary agents and more than 350 publishers. When I was ready to start approaching literary agents, I circled every contact listed in the book as being interested in my genre, and I began sending out my book proposal. I used this book to help me craft my first book proposal. After two years of rejection letters, I was published by one of the largest publishers of self-help books in North America. If you’re looking to get published and you believe in your writing—don’t ever give up! I have always been more of an optimistic, look on the bright side, kind of person. My mom told me I was born smiling. My blood type is actually B+ (“be positive.”) Corny but true! He said, “Oh, I would have given you at least a four.” That made me laugh for a moment and lightened the mood. That meeting was the first step in getting my life turned around and back on track. Our conversation sparked just enough hope that I was able to take a step and another step and then another out of the darkness and into the light. Today, I can honestly say, I am fulfilled! I have vision, clarity, and purpose. I feel like my positive self again. Looking back, I’m glad I endured that season of difficulty. It provided me with a deep understanding of what others are feeling during their own seasons of difficulty. I know what it feels like now for people who have lost hope. I’m also thankful because it strengthened me and equipped me with lessons on how to get out of the dark place I was in – and I did figure out how! Now I have the experience and authority to pass these strategies along to help you! 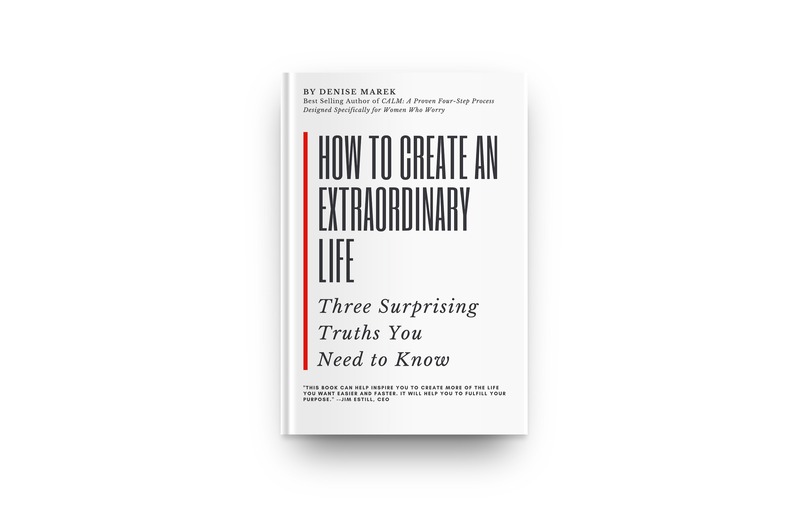 I wrote about this journey and give those strategies in my latest book titled: How to Create an Extraordinary Life: Three Surprising Truths You Need to Know. There you have it! The answers to the five questions I’m most often asked Thank you for being a part of my journey here . . . 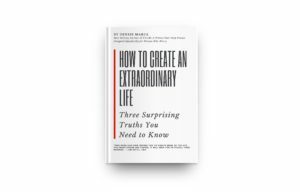 I hope these answers appeased your curiosity and/or helped you with direction on your next step for creating an extraordinary life! Make sure to get your free copy by subscribing today! Release date: October 10, 2018!